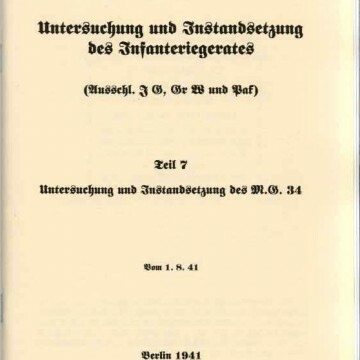 HDv 181/6 – Untersuchung und Instandsetzung des Infanteriegerätes, Teil 6 – Inspection and Repair of the Infantry Devices, Part 6 – Inspection and Repair of the MG34. 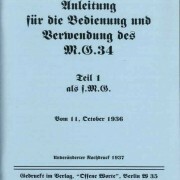 Dated Aug. 1, 1941 with 40 pages, no pictures, all text about the repair and maintenance of the MG34. 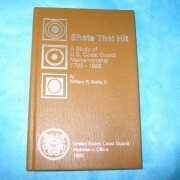 It’s not as extensively detailed as the MG42 armorer’s manual, but this is the only manual for repairing the MG34. 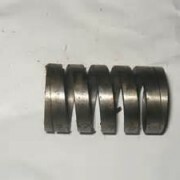 This manual does cover most of the common repairs for the MG34, including spring tension specs for the recoil and firing pin springs, and the repairs for the most common problems. This manual contains information that simply isn’t in any other manual, and is without a doubt worth the purchase price. This MG34 repair manual does not have information about how to disassemble and assemble the MG34, or how the gun operates. 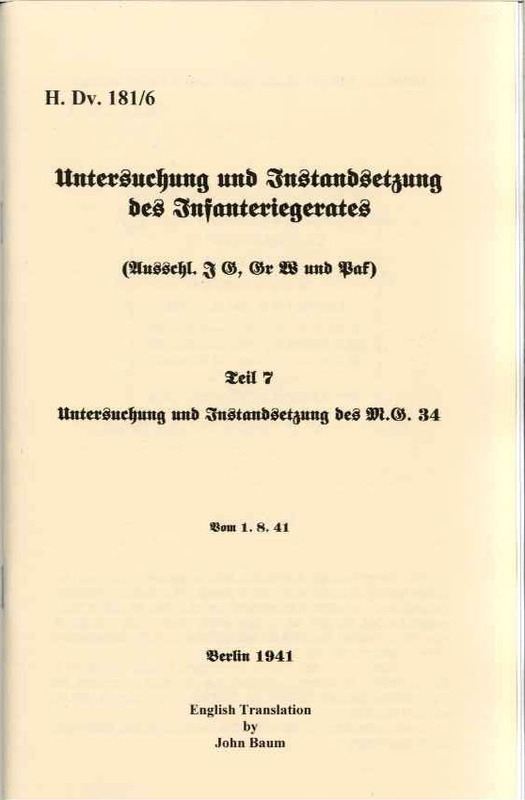 If you aren’t already experienced and familiar with the MG34 and its operation, this should not be a first manual. 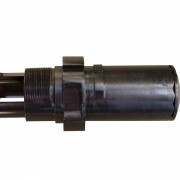 Recommended prior reading is the D 124/1, since that manual has pictures and names of all the parts in the MG34, and explains the basics. Please reference “HDv 181/6” on your order.